A vibrantly coloured tote bag that's made from natural cotton waiting for your logo to call them home. 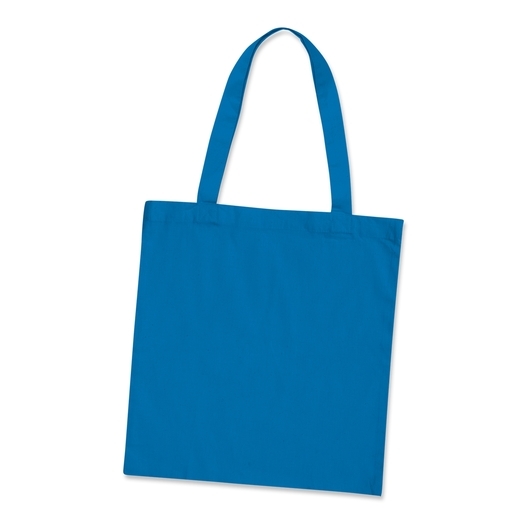 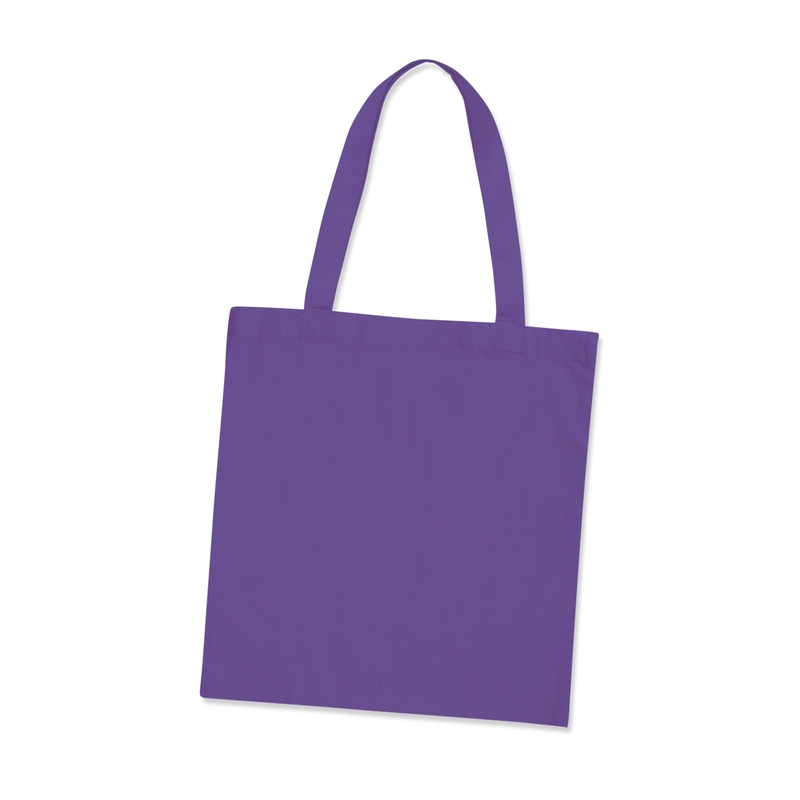 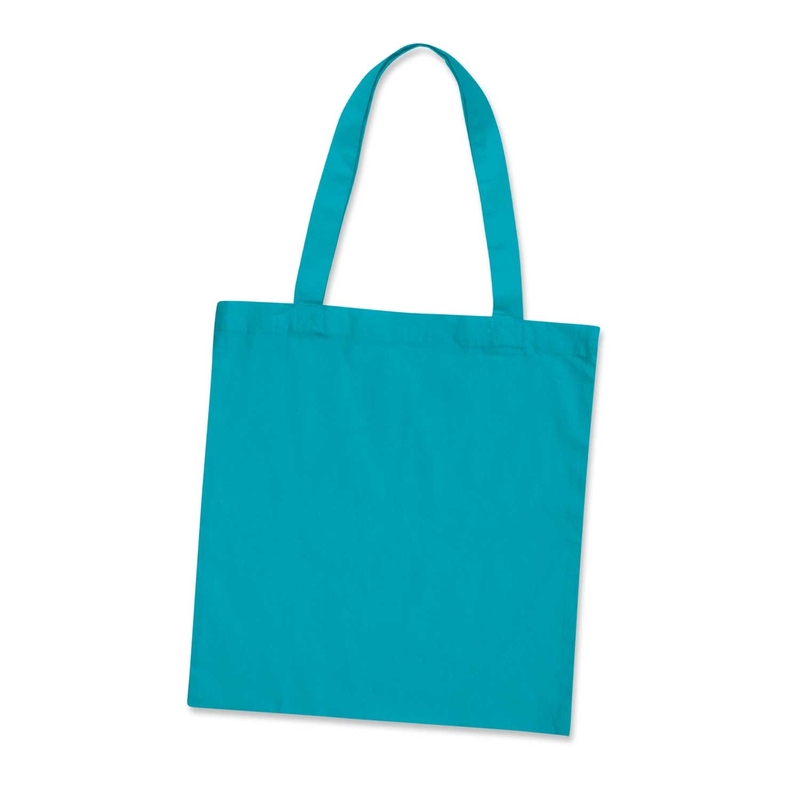 These environmentally friendly tote bags come in your choice of 13 different exciting colours. They're made from natural cotton and have longer handles that allow you to easily carry them on your shoulder. 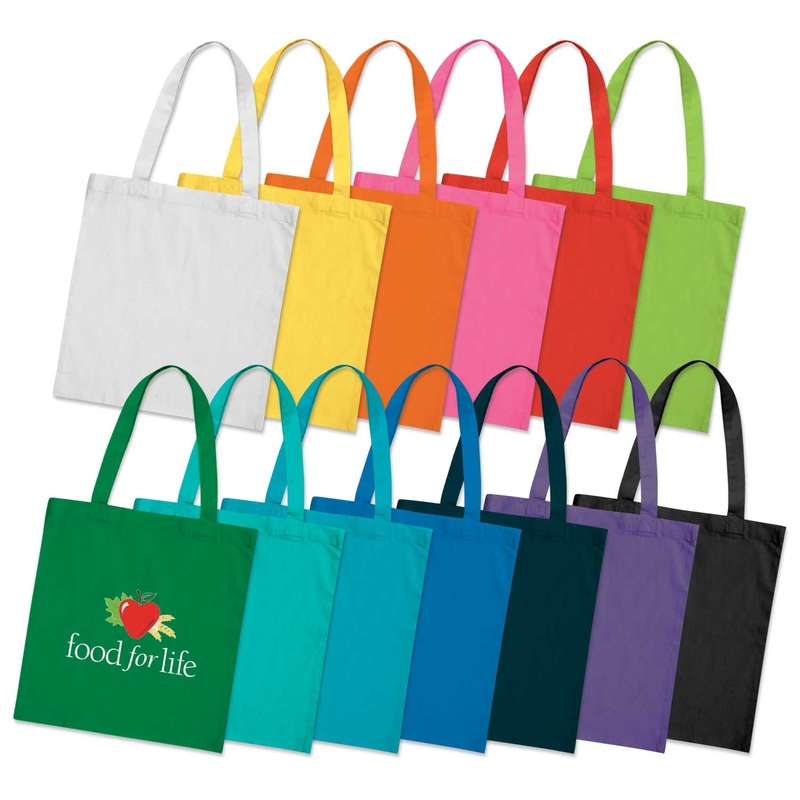 These are a popular Eco-friendly bag with a great brand space for your logo!